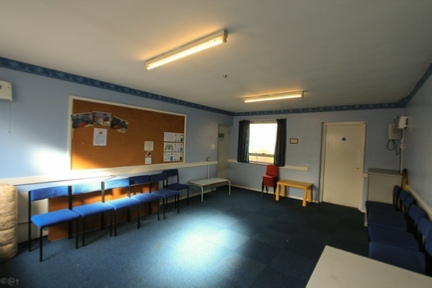 We have a number of rooms available for hire of varying size. 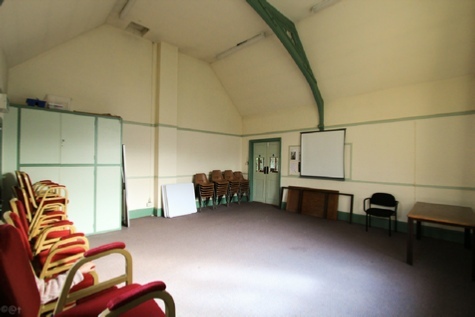 Trinity Hall is a multi-purpose space which is used for a variety of purposes - large meetings, dance rehearsal, seminars etc. It is able to accommodate up to 120 people in conference layout. With people seated around tables it can hold up to 80 people. 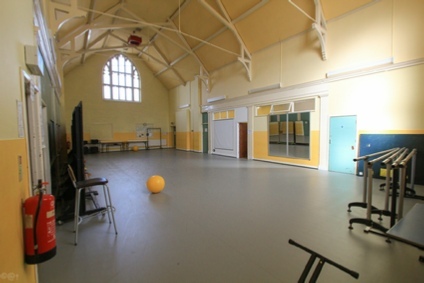 Please note that the hall is extensively used on weekdays between 9.00 am and 6.30 pm by London Dance Studios during term time. Carey Room can be used to seat up to 50 people conference style. If tables are arranged in a 'board style' format, the room can accommodate up to 24 people. The Livingstone Room is ideal for smaller groups. With the chairs arranged conference style, the room will hold up to 40 people. With tables arranged 'board style' it is possible to seat up to 20. The Homan Room is the smallest of our rooms. It is ideal for small gatherings, or as a break-out room for larger conferences. It will hold up to 15 people comfortably with no tables. With tables it is possible to seat up to 12 people. 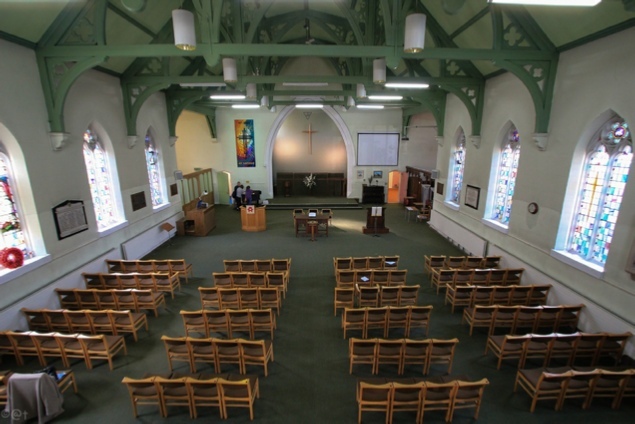 The largest venue is the church sanctuary itself. 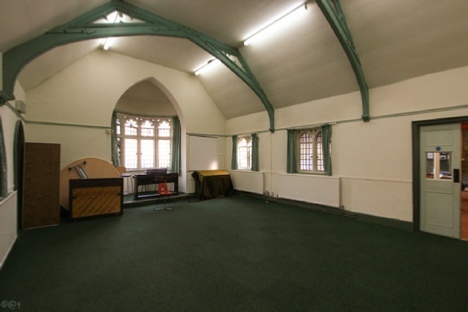 It is an ideal space for choirs or orchestras to rehearse and can be used by other groups who need a larger space for their activities. The church is also ideal as a concert venue. It has fine acoustics and is regularly used as a concert venue by the Finchley Chamber Choir, the Finchley Symphony Orchestra and Joy of Singing. For a concert by a choir and orchestra, the church is able to seat an audience of up to 200 people.